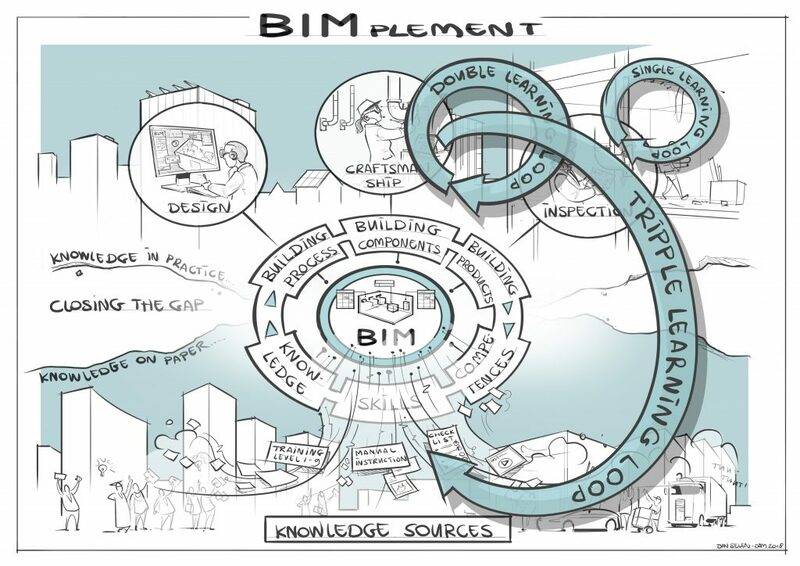 BIMplement: Towards a learning building sector by setting up a large-scale and flexible qualification methodology integrating technical, cross-craft and BIM related skills and competences. 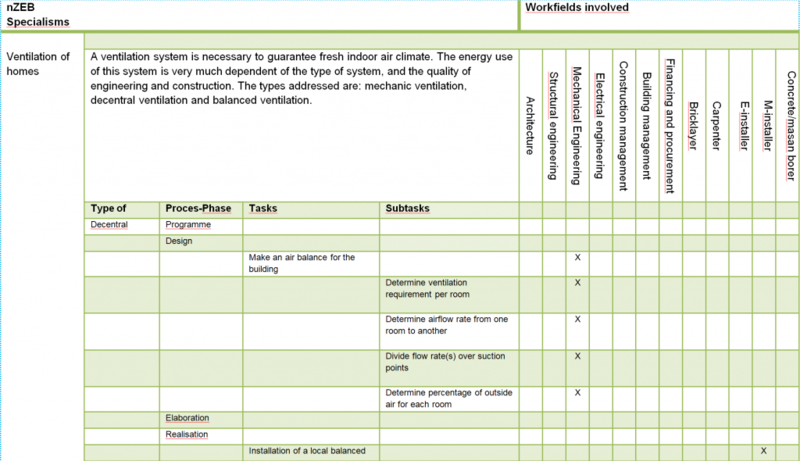 Nearly Zero Energy Building (nZEB) construction and renovation need an enhanced systematic approach for quality control of the entire process. The most important part of the BIMplement enhanced quality control approach is a fully qualified and equipped workforce. Capable to implement, execute and perform all the necessary labor actions with a full understanding of the responsibility of their own profession and actions. As well as the relation with the other involved professions and actions within the value chain. In order to make sure that available ‘good practices’ are applied across the building sector and by all relevant actors involved. To be able to reach this goal BIMplement is developing and implementing a quality oriented Qualification Framework. In this article a short introduction. The Qualification Framework is visualized in above image as the connected segments around the BIM-model. It consists of descriptions of competences, skills and knowledge needed in order to connect available knowledge such as learning content and quality inspections to the BIM-model, the building process and the actors involved. In such a way that on national level available ‘stand-alone’ qualifications on nZEB, interdisciplinary and BIM process related qualifications become part of an integrated qualification. 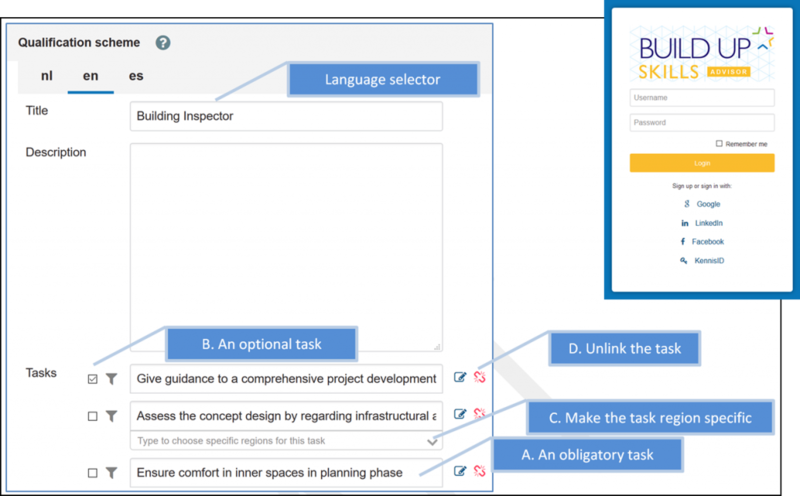 In the first work packages of BIMplement the ‘engine’ behind this Qualification Framework, the BIMplement qualification methodology is developed and applied. We started with the description of craftsmanship in the form of a task based qualification. This based on work done in previous Horizon 2020 projects such as PROF/TRAC and national BUILD UP Skills projects in the Netherlands, France, Spain and Lithuania. The table below illustrates this starting point. 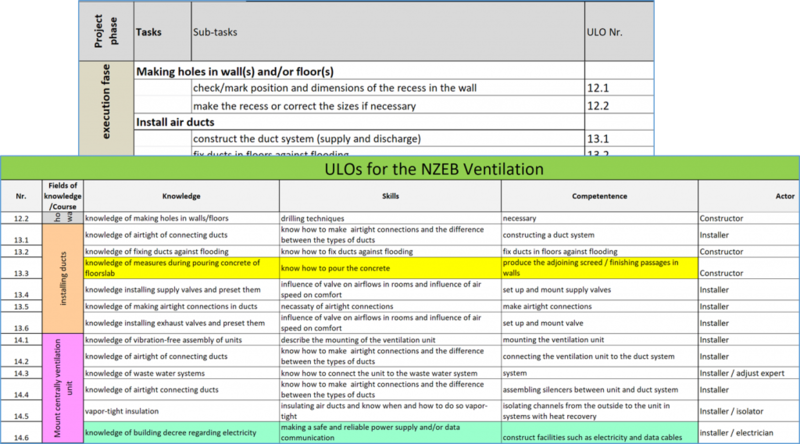 To be future-ready the qualifications for working on airtightness and ventilation have been enriched with skills and competences needed for performing a high-quality job in a nZEB project that is using BIM. The EQF-methodology, CEDEFOP guidelines and the taxonomy of Bloom have been taken into account. These have been very useful especially when it comes to the formulation of correct Unit of Learning Outcomes (ULO’s) and active task names. A unit of learning outcomes is a component of a qualification consisting of a coherent set of knowledge, skills and competence (including responsibility) that can be assessed and validated. In collaboration with H2020 project NEWCOM the methodology was applied and further optimized. This led to an improved methodology that enables normalization of the qualification in order to prevent double tasks, subtasks and Unit of Learning Outcomes. On the basis of this insight the methodology was translated into an easy to use Qualification database for storage and future use analysis of the qualifications. By applying the methodology and database, the qualifications are transparent and comparable between EU member states, thus facilitating and providing EU mobility. In the screen below the screen where the tasks are defined is shown. In deliverable ‘D2.3 Adjusted methodology for a BIM-enhanced Qualification Framework including an instruction guide’ you can find a more extended story of our quest to come to this result. It also contains a first version of the BIMplement instruction guide for application of the developed Qualification Framework. In the next phase of the BIMplement project each involved country will apply the results in a number of projects in which training interventions, based on the matrix, will be executed and tested in practice. The pilots will be used for the verification of the matrix and the qualification schemes and give feedback to the previous steps. The pilots will also be used to test the value of BIM-enhanced tools to empower the different kinds of learning loops. In our next newsletter, lessons learned in the BIMplement pilot field labs will be shared. This project has received funding from the European Union’s Horizon 2020 research and innovation programme under grant agreement No 745510. All rights reserved. Any duplication or use of objects such as diagrams in other electronic or printed publications is not permitted without the author’s agreement.